In a technical briefing held on April 20th, Canada’s telecom regulator passed judgement against Quebec-regional carrier Vidéotron’s process of zero-rating data through its Unlimited Music service, a mandate that has broad implications for differential internet pricing in Canada. The commission found that Vidéotron is giving an undue preference to certain customers — those who pay for premium plans — and is also giving undue preference to certain music streaming services and subjecting others to an unreasonable disadvantage. Vidéotron has 90 days to make its Unlimited Music service compliant. Vidéotron bundles its Unlimited Music feature with all premium plans. The service allows users to stream music through supported platforms like Spotify and Apple Music without using any of their data allotment. This, however, is not a ban on differential pricing. The CRTC also handed down regulations that will allow carriers to institute certain instances of differential pricing. It relies on a specific subsection of the Telecom Act to assess whether a particular differential pricing practice involves undue or unreasonable preference. The evaluation criteria for allowed differential pricing includes the degree to which the data is being treated equally regardless of nature or source, whether the offering is exclusive to certain customers or certain content providers, the impact on internet openness and innovation (for instance, giving preference to established music platforms rather than upstart companies) and whether financial compensation is involved. For example, a “time of day” differential pricing feature might be allowed, says regulators. Most content-based differential pricing features — meaning video or music for instance — won’t see the light of day under these new rules, however. The framework also applies to promotional offers, and will be enforced based on complaints, though an operator can also come to the commission to get approval before debuting its differential pricing feature. Consumer advocacy groups responded positively to the CRTC’s decision. John Lawford, executive director and general counsel of the Public Interest Advocacy Centre (PIAC) told MobileSyrup in a phone interview that the ruling was a “two-handed slam dunk,” praising the CRTC for its content-based restrictions and stating that the only way the decision could have been better, is if it came earlier. Now that Unlimited Music, as Canadians know it, is off the table, Lawford thinks there’s a higher chance that Videotron will consider offering more inexpensive data options in the future. Josh Tabish, campaigns director with OpenMedia, echoed Lawford’s sentiments in the activist organization’s own press release. Rogers, one of the original complainants against Videotron’s Unlimited Music service, was also pleased with the decision. “This is a good decision for consumers and for open and fair access to the internet, which is a vital resource in our digital economy,” said senior vice-president of regulatory at Rogers Communications in a statement to MobileSyrup. “For us, Unlimited Music was a perfect example of innovation and diversification, put forward by a new entrant who sought to stand out from the dominant wireless service providers for the benefit of Canadian consumers,” said Manon Brouillette, president and CEO of Vidéotron in a translated press statement. The carrier goes on to assure customers that Unlimited Music will continue to remain active until further notice and that they will be informed of developments as soon as possible. Vidéotron launched its unlimited music streaming service in August 2015 as a free service. To begin with, the carrier launched support for only a handful of streaming apps, but it now supports 19 different apps in total, including Apple Music. The service posed an immediate challenge to the Canadian Radio-television Commission (CRTC), as earlier that year the regulator forced Vidéotron and Bell to stop excluding billing for data usage on their own streaming TV services, a process known as zero-rating. 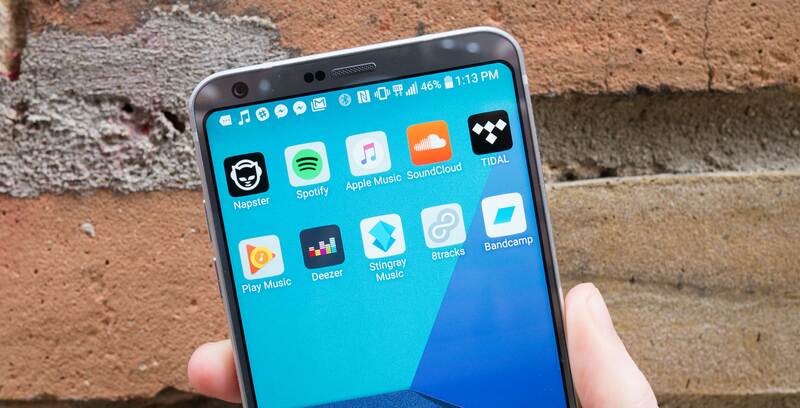 Unlimited Music initiated a different discussion, however, as the the carrier was no longer unfairly providing incentive to use its own app but opening up the benefit to many different third-party applications. Not long after, the Public Interest Advocacy Centre and Rogers filed a complaint against the service, arguing that Unlimited Music was in violation of Canada’s net neutrality rules. Rogers asserted that Vidéotron was in contradiction of a clause in the Telecommunications Act that prevents companies from showing “undue discrimination” towards certain types of content or against certain users (in this case, those who paid less for their plans). It also stated the feature was counter to the principles of the Wireless Code of Conduct, advertising that there would be no overages when there are certain caveats in which overage can occur. Currently, users can incur overage charges with Unlimited Music when using a VPN or tethering. Additionally, downloading content through those same apps is excluded and the feature allows a maximum streaming flow of 128Kbps only. Subsequently, in May 2016, the CRTC called on the Canadian public and stakeholders to express their thoughts on the process of differential pricing for mobile internet and announced it would hold a hearing on the subject beginning October 31st, 2016 and ending November 4th, 2016. On the first day of the hearing, CRTC CEO and chairman Jean-Pierre Blais noted that Vidéotron’s Unlimited Music service had sparked a much larger conversation, leading to overarching questions of internet data limits and pricing. “As this goes beyond an individual case and because of potential increased use of differential pricing practices such as this one, we decided to go beyond the particular case of the Vidéotron applications and look at this issue as a whole, so that Canadians and Internet service providers alike can benefit from a clear and transparent regulatory policy,” said Blais at the time. With today’s decision, lauded by many consumer advocacy groups as a strong move for net neutrality, the CRTC has finally released that policy and put the long-debated issue to rest.